A wheel is a circular component that rotates on a bearing (or hinge) that supports an axle. The wheel is a key component of one of the six simple machines. Wheels allow heavy objects to be easily moved by facilitating movement while supporting and transporting a load. A major application is in wheeled vehicles, where the wheel and axle is used to reduce friction between the moving vehicle and the ground. Throughout history, most inventions were inspired by the natural world. The idea for the pitchfork and table fork came from forked sticks [and branches]; and the airplane from gliding birds. But the wheel is one hundred percent [a] homo sapien innovation. The closest things to wheels as they appear in Nature are some types of bacteria, dung beetles and tumble weeds. The wheel is a relatively new invention. 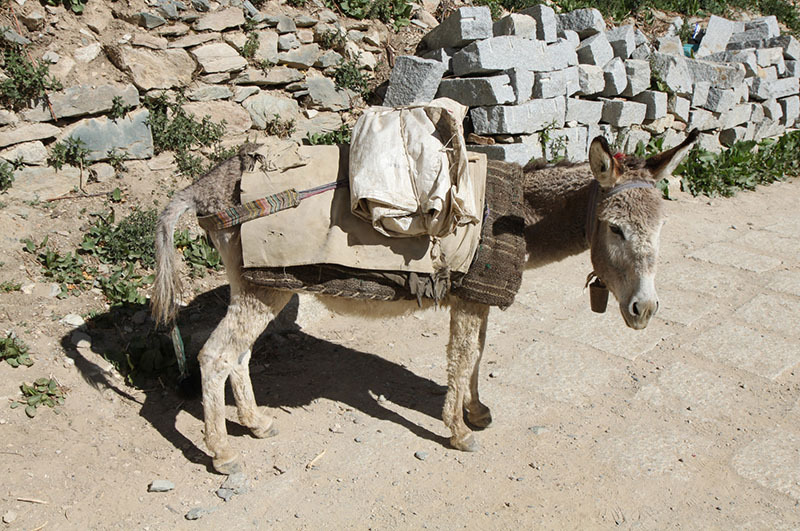 Before the wheel was invented, people walked or used animals or boats to transport themselves and/or objects. Historical evidence indicates that the first freely-spinning wheels were in use in Mesopotamia by 3500 BC and possibly as early as 4000 BC. 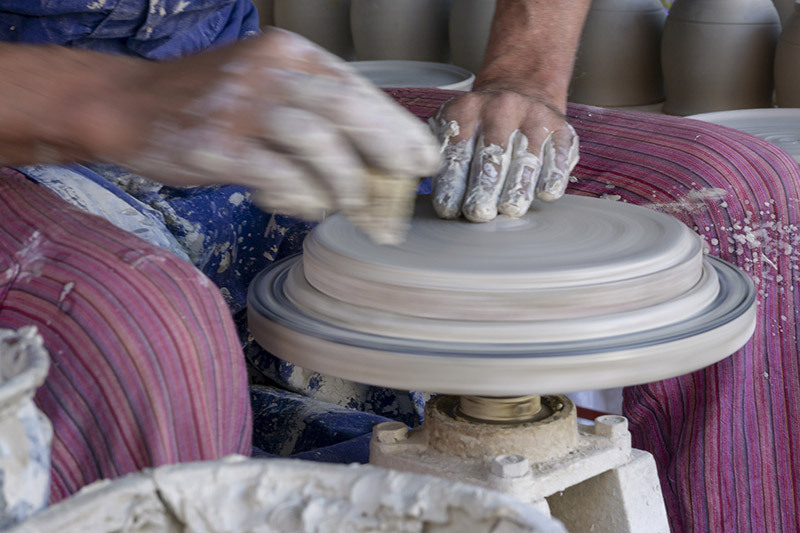 Using the wheel, Sumerians invented a contraption that could spin clay while a potter shaped it into the desired object. The oldest surviving example of a potter's spinning wheel was found in Ur (now Iraq) and dates to approximately 3100 BCE. The first evidence of wheeled vehicles appears in the second half of the 4th millennium, almost 300 years after wheels were first used by potters. These wheeled vehicles were used as war-chariots, transporting army goods and for racing and hunting. The question regarding which culture originally invented the wheeled vehicle is still undecided because they appeared near-simultaneously in Mesopotamia, Eastern Europe and Northern Caucasus. The earliest known examples of wooden-spoked wheels date back to 2000 BC when horse-drawn war chariots were used continuously for 300 years. 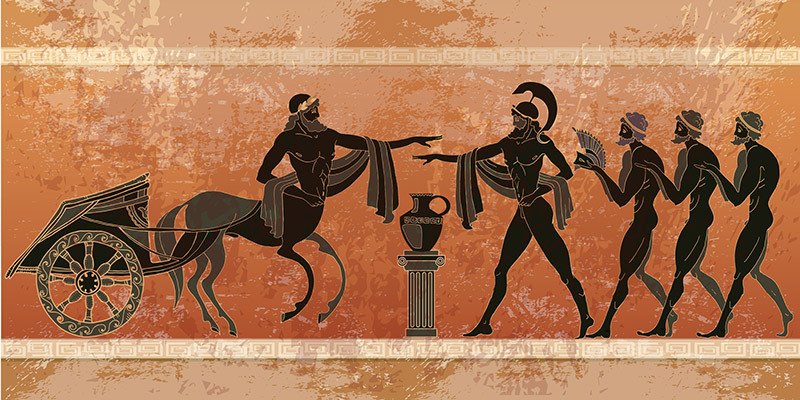 The horse cultures of the Caucasus region moved deep into the Greek peninsula where they joined with the existing Mediterranean peoples including classical Greece. Celtic chariots introduced an iron rim around the wheel in the 1st millennium BC. Researchers believe that the wheelbarrow first appeared in classical Greece, sometime between the sixth and fourth centuries B.C. Wheelbarrows were expensive to purchase; however, they could pay for themselves in just 3 or 4 days in relation to labour savings. 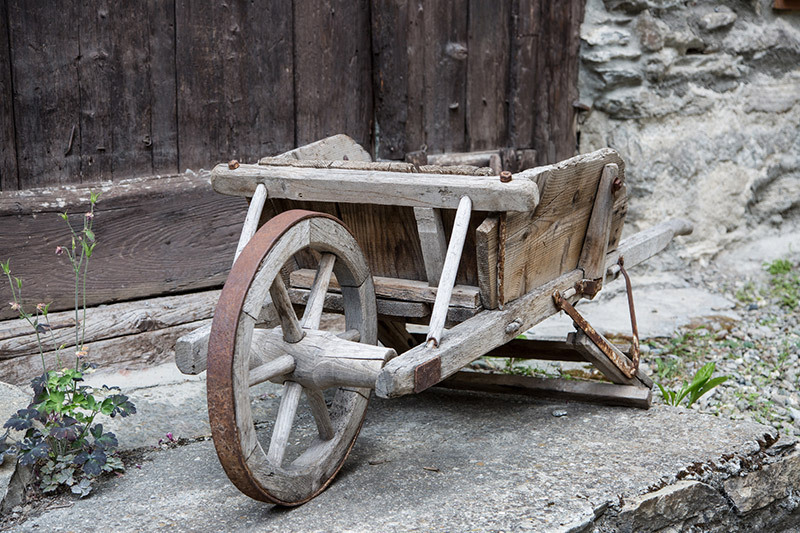 Wheelbarrows emerged in China four centuries later and ended up in medieval Europe via the Byzantine Empire or the Islamic world. Innovative Landscape Gardeners have some money saving hacks on moving items around the garden using a towel or sheet. 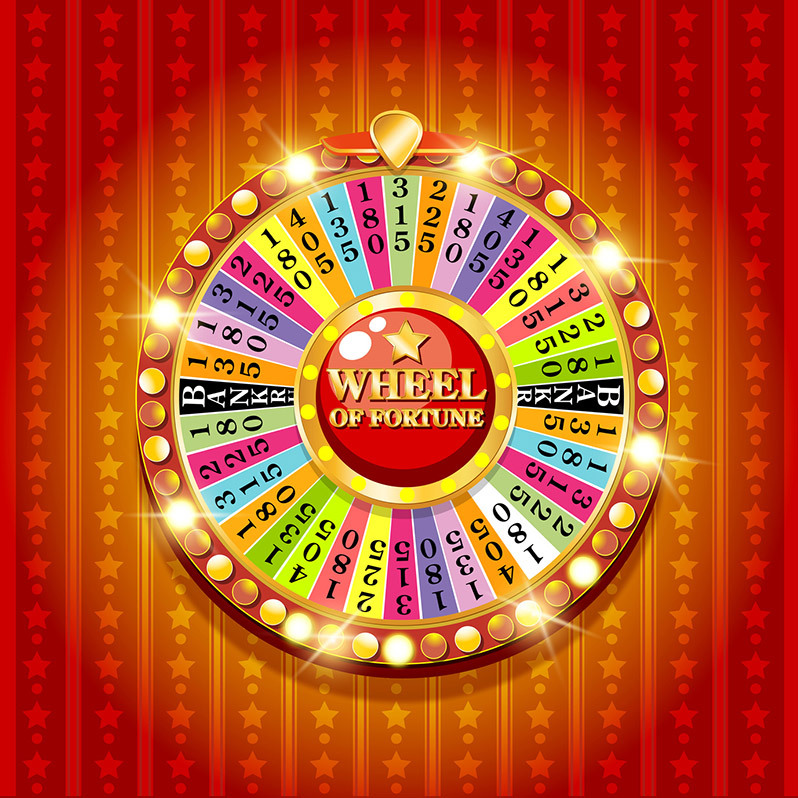 The Wheel of Fortune or Rota Fortunae is not just a recent TV Game Show. It is in fact, an ancient concept of either Greek or Roman origin. It is a wheel that the goddess Fortuna spun to determine the fate of those she looked upon. Roman scholar Cicero and the ancient Greek poet Pindar both made reference to the Wheel of Fortune. In The Canterbury Tales, Geoffrey Chaucer used the Wheel of Fortune to describe the tragic fall of several historical figures in his Monk's Tale. And William Shakespeare alludes to it in a few of his plays. “Fortune, good night, smile once more; turn thy wheel!” says a disguised Earl of Kent in King Lear. Roulette means 'small wheel' in French. The origin of the gambling game 'roulette' has been disputed. Some sources maintain that Pascal, a 17th-century French mathematician, invented it in his attempts to create a perpetual motion device. 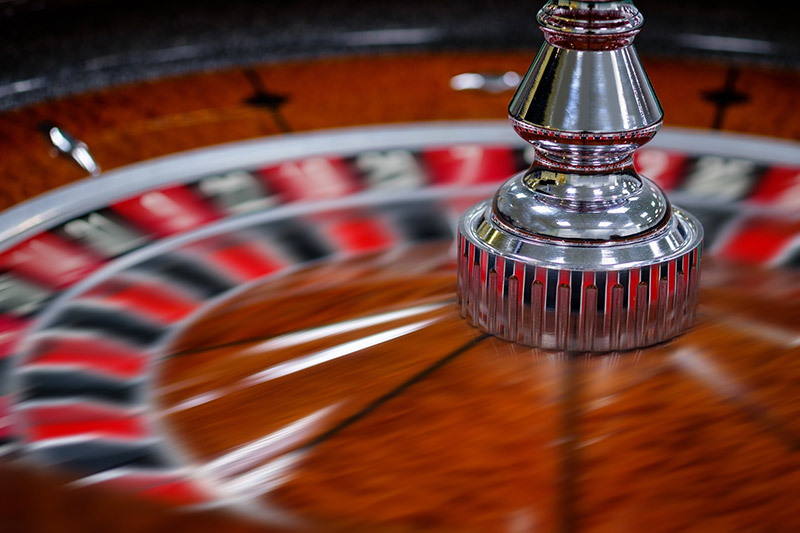 Roulette is more commonly accepted as an 18th century French creation that combined several existing games. The wooden-spoked wheel was in continuous use without major modification until the 1870's when wire-spoked wheels and pneumatic tyres were invented. A tyre is a ring-shaped covering that fits around a wheel rim to protect it and enable better vehicle performance by providing a flexible cushion that absorbs shock while keeping the wheel in close contact with the ground. Wire spokes are under tension, not compression, making it possible for the wheel to be both stiff and light. Cast alloy wheels are now more commonly used and forged alloy wheels are employed when weight is critical. The word ‘tyre' may be derived from the word "tie," which refers to the outer steel ring part of a wooden cart wheel that tied the wood segments together in the early times of the vehicle wheel. The fundamental materials of modern tyres are synthetic rubber, natural rubber, fabric and wire, combined with other compound chemicals. Tyres consist of a tread and a body. The tread provides traction while the body ensures support. 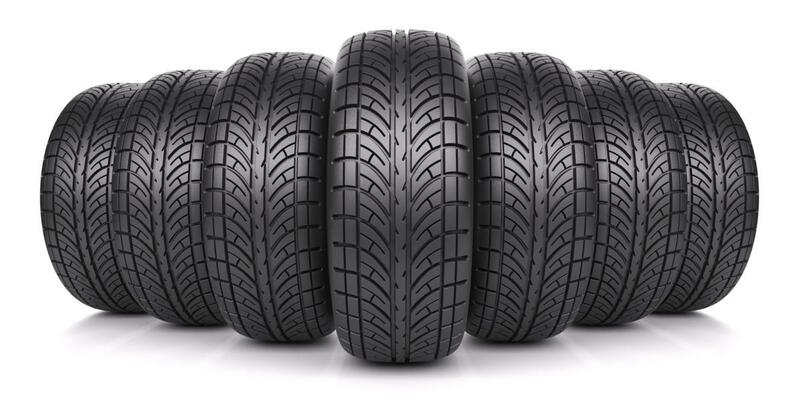 Generally, tyres are filled with compressed air to form an inflatable cushion and are used on many types of vehicles such as cars, bicycles, motorcycles, trucks, earthmovers and aircraft. The technology and science surrounding wheels, tyres, axles, bearings and related engineering innovations arrived comparatively late in the evolution of humans. It was the art of pottery that delivered the first wheels into the lap of human activity. Unlike other inventions, the wheel did not occur overtly in Nature as did other inspirations for curious humans. Once discovered though, wheels and tyres have provided a life-changing revolution. It now requires experts to service our reliance on wheels, tyres and the complexity of their construction and maintenance. RLM Distributing is a specialist supplier of Tyre and Wheel Servicing Products, Tools and Equipment to the automotive, transport, mining and retreading industries. RLM is a Queensland owned and operated family company, delivering quality products, superior customer service and experienced technical advice since 1982. RLM stocks over 3000 Tyre and Wheel products in their Brisbane warehouse. Resources for product manuals, specification sheets and product information regarding the RLM product range are also available to download at the following website. Researched, Compiled, Composed and Written by Dr Steven Gration.